Considering all that, it’s understandable that when it comes to navigating the New York music scene, Hernandez has sometimes seemed like an outsider—such as during the first failed incarnation of Ava Luna, when he thought the path to success ran through the bars of downtown Manhattan. Recruiting three longtime friends to sing backup (after some turnover, it’s down to original member Felicia Douglass and later addition Becca Kauffman), the band announced its new direction with a pair of well-received EPs. 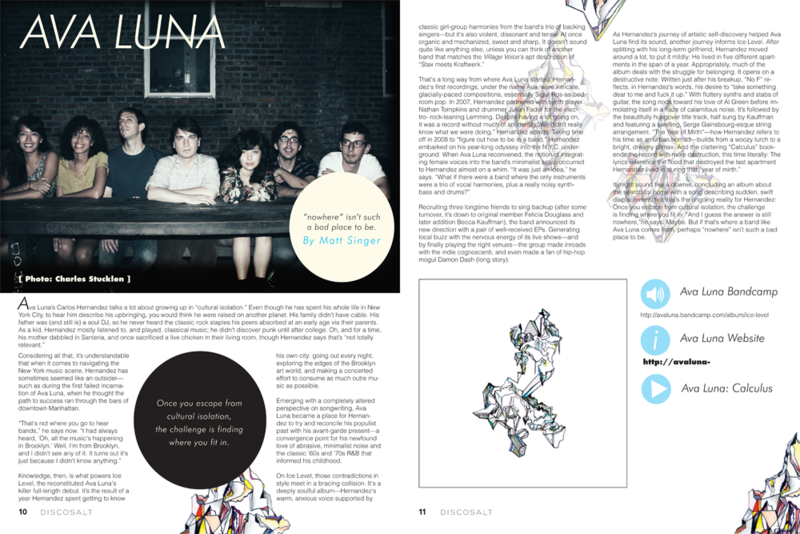 Generating local buzz with the nervous energy of its live shows—and by finally playing the right venues—the group made inroads with the indie cognoscenti, and even made a fan of hip-hop mogul Damon Dash (long story). It might sound like a downer, concluding an album about the search for home with a song describing sudden, swift displacement, but that’s the ongoing reality for Hernandez: Once you escape from cultural isolation, the challenge is finding where you fit in. “And I guess the answer is still nowhere,” he says. Maybe. 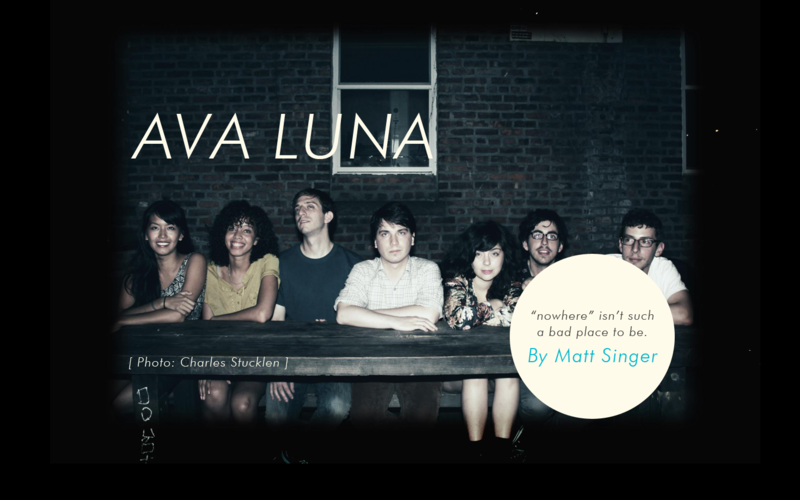 But if that’s where a band like Ava Luna comes from, perhaps “nowhere” isn’t such a bad place to be.